Mr Ravi holds a PG Diploma in Business Management - Rural Marketing FMS (Institute of Rural Management) and has a long industry experience wherein he has worked with both Non-Governmental Organisations and CSR. Mr Ravi brings this understanding of both sides of the spectrum to Shrushti and has been facilitating a steady growth of the organization. 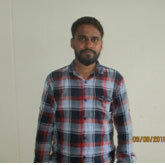 He is currently leading a team of over 600 people at Shrushti and ensures everyday functioning of the organization is carried out in a smooth and efficient manner. A renowned novelist who penned down more than 24 novel & books, recipients of ‘Rangeya Raghav ’ and Maharan Kumbha Award at state level from Rajasthan Sahitya Academy and Maharana Charitable Foundation. An intellectual who served as expert at FIJI for 3 years and enlightened local students on Indo-FIJI international relation and issues. Mr. Bhatt Started journey as teacher climbed to lecturer, Principal and then retired as Assistant Director from Education Department, Govt. of Rajasthan. As educationist he is still active after retirement of 20 years and contributed in many state text books as subject expert. In the past he led ‘Shiksha Karmi Project’ a revolution, which tremendously brought thousands of children to mainstream education and proved as milestone in education history of Rajasthan. Here in Shrushti, team of young academicians and management professionals working under his supervision to bring positivity and interest for education in life of 16500 tribal girls who are either dropped out, never enrolled and irregular due to their family issues. 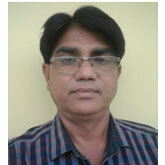 Mr. Sanchiher a development professional with more than 25 years of experience in the field Training and Development. As consultant he had association with many NGO, INGO and Government and contributed in training module development and deployment. He is a good community mobilizer, a good speaker and smart trainer on varied areas like health, education and agriculture based livelihood. He is active in development sector since 80’s when it’s very rare for youth to take it as profession but he took every challenges and opportunity of learning. Mr. Sanchiher takes care of trainings and capacity building of project team and community of every programmes organization associated with. His efforts provide strength to our staff and to organization as whole. 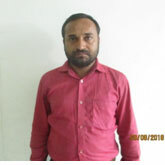 Mr. Sohan Jannawat is associated with organization from last 12 years. He started his journey at very young age of 22 as field officer but his hard work and leadership skill successfully implemented many projects at ground which made impact in life of thousands. He led various campaign on awareness whether its on education, health, skill training or livelihood. He is also having rich experience on designing and leading advocacy based projects. 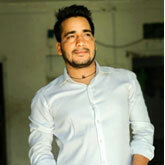 Currently he is leading campaigns on Safe Motherhood and environment awareness in 5 districts of South Rajasthan. His presence on the ground ensures that the staff and volunteers discharge their duties with utmost proficiency. PGDRM (Rural Management) with 12, years of experience in different field of livelihood which includes horticulture development, Self Help Group, Vocational trianings, income generating activites and other core areas of Agriculture and allied activties. 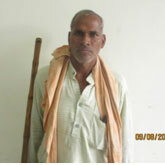 He has expertise in agricultural based sustainable farming and promote collective buying and selling. Mr. Jitendra Kumar Ojha, Theme Leader (Mother & Child Care) has significant experience of more than 11 years with NGO’s and Dept. Of Medical & Health (GOR) under NRHM. 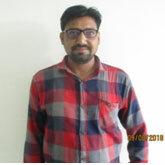 Mr. Ojha has done Master’s in Social Work from Devi Ahilya University, Indore in year 2007 and since then worked almost for 8 years as Block Planning Manager (BPM) under NRHM with responsibilities to implement programs related to Maternal & Child Health and other Public Health Programs. He had also been involved in capacity building training programmes for PRI, ANM/Para Medical Staff, AWW/ASHA and other FLW as Key Resource Person. He is now upholds his responsibilities as theme leader and has been involved in Mother & Child Care projects. Law graduate by qualification and social activist by profession working from last 12 years in the field of women empowerment and gender equality. She is a good trainer, motivator and and have strong understanding and knowledge on women empowerment to police department, VHSNC members, financial inclusion, consumer awareness and life skill training. She led projects on financial inclusion, Mother and child care, SHGs in the past and currently providing strength to organization. B.Com / LL.B. with 2 years of experience looking after HR management and ensure organization HR policy is followed amongst all employees, managers and executives. Being a HR executive she is looking after hiring, training and dismissal process. Professional with ‘Bachelor in Elementary Education’ and Master in Psychology from University of Delhi with almost 2 years of experience in education sector. She is into trainings module and curriculum development and a key resource person in child centric education based projects. She is coordinating trainings and also leading action research in pilot project. Mr Jain takes care of the financial transactions of the organization and ensures that there are no delays or loopholes in the process. Apart from his experience in the field of finance, Mr Jain also holds a good understanding of the social sector because of his experience working with voluntary sector members for over 20 years. He has also worked on projects related to vermicompost manufacture, tribal community institution development and much more. 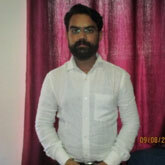 M.Com with 13 years of experience in financial management in development sector. Currently looking after statutory compliance management and accounting management system and internal and external audit. M.Com with 2 yrs. Experience of Office Management, Finance and Procurement. He is looking after procurement, office supply inventory, maintaining equipments and perform general clerk duties and errand. He is also managing filing system and organizes travel by booking accommodation and reservations as required. Accountant by profession and EDP trainer by interest Mrs. Seema Jain is responsible for managing organization stock books, checking and verification of bills received from the ground. She is the newest member in finance team but her efficiency in work earned her great respect from the other team members. A seasoned professional with more than 7 year experience as trainer, Center Head and Team leader in the field of Skill Training . He successfully implemented projects on vocational training supported by DDUGYKY, RSLDC, CSR and Government. 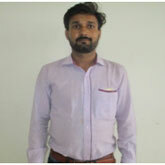 His track record of trainee’s placement in local businesses and big companies are extra-ordinary. 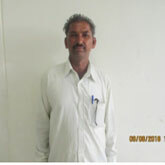 Currently he is leading projects supported by INGO and CSR of vocational training for tribal youth in the organization. 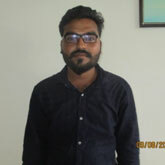 Mr. Bhavesh Joshi comes from tribal dominated district Dungarpur with decent education worked with MNCs like Monsanto, HCL and Pearson Education. He is having more than 6 years of experience and significant learning comes during 4 long year’s association with Pearson education as district coordinator. His association with organization is just 15 month old but his performance earned him respect, position and highest increment in organization history. M.A. 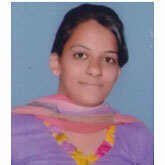 B.ED, with 2 years experience in Girl Education Programme at Kumbhalgarh Block comes from rural background. Her journey are very interesting, she started at organization as teacher then Cluster Coordinator and very recently promoted as project Coordinator. Currently she is leading project on Girl Education and inspiration. MSW with experience in solid waste management and Education related projects. Currently working as Block Head and leading project on Girls Education, Adult Literacy, Environment and Social Security Benefits for underprivileged tribal families. MSW with experience in Water and Education related projects. Currently working as Block Head and leading project on Girls Education, Adult Literacy, Environment and Social Security Benefits for underprivileged tribal families. Social development professional (BSW) with 9 year experience on Vocational training, education and health related project. Currently working as Block Head and leading project on Girls Education, Adult Literacy, Environment and Social Security Benefits for underprivileged tribal families. MSW with experience in Education projects. Currently working as Block Head and leading project on Girls Education, Adult Literacy, Environment and Social Security Benefits for underprivileged tribal families. A Social activist and IGSSS Fellow with more than 18 years of experience in, Right based advocacy, Women health, Disability and Education related projects. Currently working as Block Head and leading project on Girls Education, Adult Literacy, Women health, IGA, Environment and Social Security Benefits for underprivileged tribal families. 23, years of experience of working in the field of Women health, Education and Livelihood. Currently working as Block Head and leading project on Girls Education, Adult Literacy, Environment and Social Security Benefits for underprivileged tribal families.